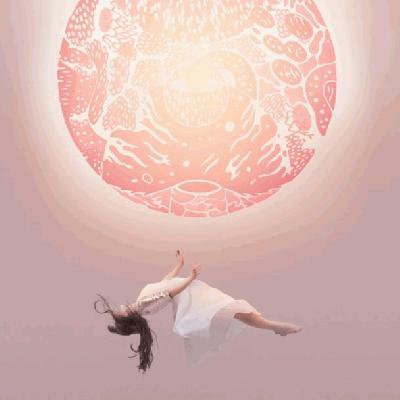 Review Summary: Purity Ring grows up on "Another Eternity"
Over the past couple of years, electropop act Purity Ring has been working tirelessly to prove that their musical arsenal expands upon the trap-inspired pop that drove their breakout 2012 debut LP Shrines. Their multi-genre ambitions have proven to be quite successful as they've collaborated with everyone from underground hip-hop darling Danny Brown to electronic music superstar Jon Hopkins and released popular covers of songs by Soulja Boy and Lady Gaga in the time since Shrines was released. Their hotly-anticipated second record Another Eternity sees the Canadian duo further widening their musical range without abandoning the sound that put them on the map. As an album, Another Eternity is the epitome of a grower. The compositions here are for the most part far more subtle than anything on Shrines, which means it takes multiple listen before the intricacies of each song to sink in. Once the scope and impact of these tracks are fully realized, it becomes evident that this is the most creative and consistently enjoyable material has produced in their career thus far. Purity Ring doesn't waste any time establishing the musical melting pot vision they had for this record. Within the first five tracks, they explore alternative R&B ("Heartsigh"), syrupy mainstream pop ("Push Pull") and ambient electro with hints of pulse-pounding house music thrown in good measure ("Stranger than Earth"). This stretch of Another Eternity does a great job of exposing a level of versatility that's largely been buried in their prior material. The increased offerings away from the electronic genre shine a spotlight on just how fantastic the vocals of Megan James are. Her vocals are often masked by robotic vocal effects , but the cleaner approach taken on the aforementioned "Push Pull" and "Heartsigh" allow the raw, authentic beauty of her vocals to shine through. James is as capable of a vocalist as there is in the pop genre and this album is the perfect showcase of just how truly talented she is. Producer Corin Roddick also goes out of his wheelhouse by showing that he's capable of producing tracks that contain more than densely layered synth lines and thumping bass. Roddick's production here is predominantly based around mellow synths and snare drums, which creates a haunting, dream-like atmosphere that remains consistent throughout the album's frequent genre changes. With his work on Another Eternity, Roddick proves to his critics that he's far more than a one-dimensional electronic music producer. The more nuanced style and level of experimentation establishes a welcome sense of diversity in Purity Ring's music, but there's no denying that they're still at their best when they're making pure synth pop track. The psychedelic abrasiveness of Roddick's production paired with the abstract beauty of James' vocals on these tracks makes for a special listening experience that aren't duplicated on their journeys away from the genre. The trio of synth-driven bangers ( "Flood on the Floor", "Dust Hymn", "Sea Castle") that appear on Another Eternity are intelligently placed in succession on the second half of the album to maximize their impact. The pure visceral force of these tracks is astonishing and makes for 12 of the most invigorating minutes of music to be released in the early part of 2015. It's a damn shame that there isn't more synthpop songs on Another Eternity because just about every other song on the album fails to match the heights that are reached on these three tracks. Another Eternity reflects the work of a more mature, adventurous version of the Purity Ring the independent music world fell in love with a few years ago. While their experiments don't always end well (particularly on the obnoxious "Bodyache" and one-note bore ironically named "Repetition") the fact they're willing to take so many risks is refreshing in a time where pop music is becoming more and more bland by the day. Walking a fine line between dance-friendly, synth-driven electronic music and radio-ready pop is difficult, but Purity Ring has the creative drive and consistently strong production values to make it work. Solid write up. Did not like this as much as Shrines personally, but there were quite a few good tracks here. I like the way you addressed the variety of genres they're playing with on the album. Great review. Unfortunately I seem to have the opposite opinions about this album: I gained nothing from several re-listens and found the songs shallower and more boring as I tried to listen to more details in the songs. I legitimately only enjoy push pull and begin again while the rest of the songs have lyrics I can't get behind at all. In particular, I really wanted to like sea change and stillness in woe, but the former's "baby why dont you see, see my sea, make slow, get inside and pull on my sea" makes me shake my head so bad and the latter's "I'm seeing double" repetition makes me grate my teeth with how much it ruins the flow for me. I agree, "Push Pull" and "Begin Again" are pretty much the only tracks that are attention grabbing. "I legitimately only enjoy push pull and begin again while the rest of the songs have lyrics I can't get behind at all." Fair enough. Personally I've always found their lyrics to be really ridiculous. The production, vocals and sheer catchiness of the songs has always been the reason they stood out to me. Catchy beats, I can dig it. compared to shrines, this album was lack luster. i just couldnt get into it. i guess because theyre trying a new pop-ish kind of sound. it sounded like they locked themselves in a closet for a weekend, and left CHVRCHES and taylor swift on repeat. Funny you say that.. People compare them with CHVRCHES all the time..
Really wish I liked this more. "Shrines" was the most I've ever clicked with an album on first listen and it's probably in my all-time top 20. This....this is just too shallow and fast and uppity compared to the last, which was dark and oppressive and atmospheric. That being said I really like 2-4 tracks here depending on my mood. catchy, but way more mainstream than the previous album. it's not awful, however it doesn't represent mostly anything that got me into purity ring in the first place. less echo and "lalala/nanana/ohoho" in your future songs please! This is just so pleasing to listen to. New track is like a cross between the first album and this one, but closer to this than the first. New track. What. How did I miss this. I'm wanting something more akin to the cavernous yet claustrophobic sound & production of the first album. I'll have to check it out when I get home. Another Eternity was fine and has some good tracks, but their debut only has 1 skippable track (you know the one) and was much more interesting. Flood on the floor is really good.